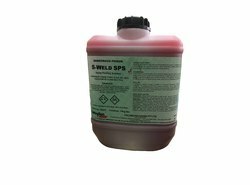 Pioneers in the industry, we offer pickling gel chemicals, passivation chemicals, anti spatter spray, stainless steel pickling gel, stainless steel passivation tester and pickling spray s weld sps from India. 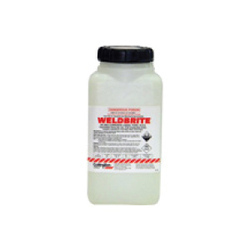 Weldbrite Pickling Removes A Thin Surface Layer From The Stainless, Using An Acid Solution, Which Is Usually A Hydrofluoric And Nitric Acid Mixture. 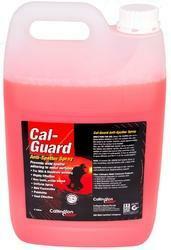 For The Pickling To Be Effective The Surface Should Be Clean And Free Of Greases And Oils. Weldbrite Pickling Will Remove Embedded Iron, Surface Iron Contamination, Heat Tint And Weld Scale. We have in store a wide range of Stainless Steel Pickling Gel. The products are used for the formulation of a high adhesion stainless steel pickling gel for various pickling applications. Made using Australian technology, during welding of stainless steel the offered products are used to remove the black oxide marks or burn scale left. Made in accordance with the international standard, ASTM A380-06, these are used for cleaning, descaling & passivation of stainless steel parts, equipment & systems. The application of these machines makes they are finished stainless steel weld area free from contamination. 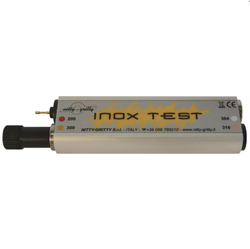 Inox Test is a tool designed to identify the most common stainless steel alloys. It can be fitted within the back of one's hand, the liquids used for the analyses do not leak nor damage the product, and the result is provided in just 10/15 seconds. - Magnetic test: to identify AISI 400 stainless steel. - Test to determine the presence of manganese and to distinguish an AISI 200 stainless steel from an AISI 300 stainless steel. - Test to determine the presence of molybdenum and to distinguish an AISI 300 stainless steel from an AISI 316 stainless steel. Spray Pickle Solution Conforms to ASTM a380-06 Standard Practice for Cleaning, Descaling and Passivation of Stainless Steel Parts, Equipment, and Systems S-Weld SPS is a unique spray pickling solution that provides excellent working properties for the pickling of stainless steel. Its red colouring allows the operator to know exactly where the product has been sprayed on the stainless surface or if it has been washed down completely.